Hereford Advantage Program is a genetic merit feeder cattle program which looks at the bull batteries going into commercial programs. A commercial producer using Hereford bulls sends in the registration numbers for their bull battery. The Hereford Advantage Program then shows, compared to breed average, where these bulls sit. This is used to market the calves. In 2003, John Meents approached Lowderman about having a Hereford influenced cattle. They started with 150 head, and last year they had over 800. Calves need to have two rounds of shots. Needs to be castrated and dehorned. They then break the calves into lots based on 100 pounds increments to group them into similar lots (steers between 450 and 550 pound, between 550 and 650, etc.). Heifers are broken into lots by 75 pound breaks. The Hereford sale is within 1 to 3 dollars of the Angus influenced sale that is held within the next week. Owns three feed yards and is a cattle buyer for thousands of other cattle. 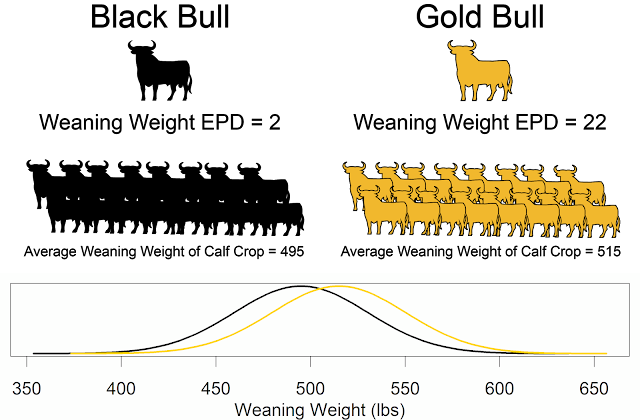 It is so important that cattle are sold as load lots that are uniform and consistent. The more information Gabel can receive is better. Cattle in the Hereford Advantage Program come with a reputation. The cattle buyer becomes much more comfortable. Seedstock producers can call a cattle buyer to let them know about a commercial customer’s calf crop. Gabel needs to buy 7,000 cattle a week to keep up with his sale barns. Cattle need to have two rounds of shots. This is usually at branding and preconditioning. Gabel prefers modified live vaccines. Even with co-mingling cattle through the Midwest Hereford Influence sale, Lowderman has not seen any train wrecks in terms of health. But, the cattle need to be weaned 40 days and have the two rounds of shots. They also see some mineral deficiencies. Reporting your mineral program can be helpful as well. The genetic improvement in the Hereford cattle have probably been as big as any breed association. Hot carcass yield has been a percentage less than other breeds and crossbreds; this has been the most common concern. The dressing percentage has been an issue. Gabel would prefer to feed an F1 crossbred steer. The performance on an F1 is going to be better than a straightbred. We all understand condition, flesh, and maturity. We don’t put enough value on known genetics, Gabel said. 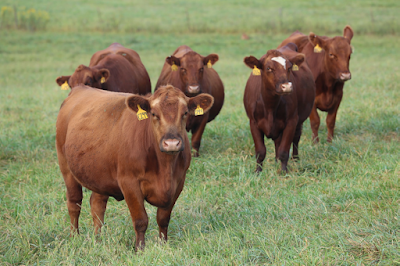 Having a breed-influenced sale helps those producers that have 15 to 20 calves. Co-mingling the cattle produces those consistent lots. Hereford-specific sales may be a great opportunity, especially out West. “This can create some more demand,” said Gabel. There also may be more economic incentives for EID (Electronic IDentification). Genetics and health are the easiest things to manage. They are going to have the largest return on investment over 10 to 20 years. How can we get that small group of calves to the Midwest Hereford Sale? Lowderman organizes trucks to pick up cattle and producers pay for the trucking on a per head basis. Even with this added cost, they still see improved profits for these cattle. In Gabel's opinion, for producers, the increased gain from implanting their calves outweighs any premium they would see from not implanting. Certain packers are still going to push back on Hereford cattle. This push back is mostly due to dressing percentage and yield. However, black baldies will bring a premium every day of the week. The negative connotation around Herefords has dwindled over the last 5 years. If you take Hereford influenced cattle to the sale barn, you will see a discount. However, if you have a Hereford specific sale, this discount basically goes away. As has been previously shown, an AI sync protocol really improves the consistency by reducing the spread in the ages of the calves. Genetic marketing plans are going to grow as producers progressively improve their herds and seek a premium for those calves.